One month after the NES Classic launched, it was impossible to find. One month after the SNES Classic launched, it was the hottest console on the market. And one month after the PlayStation Classic launched, it’s been marked down from $100 to $60 at every store on the internet. This 40% price drop, which went widespread across stores like Amazon and Target yesterday, signals that Sony made more PlayStation Classics than it sold. There are a lot of possible explanations for this. Maybe people don’t have the same nostalgia for PlayStation as they do for Nintendo, or maybe they got sick of buying classic consoles the last two Christmases. 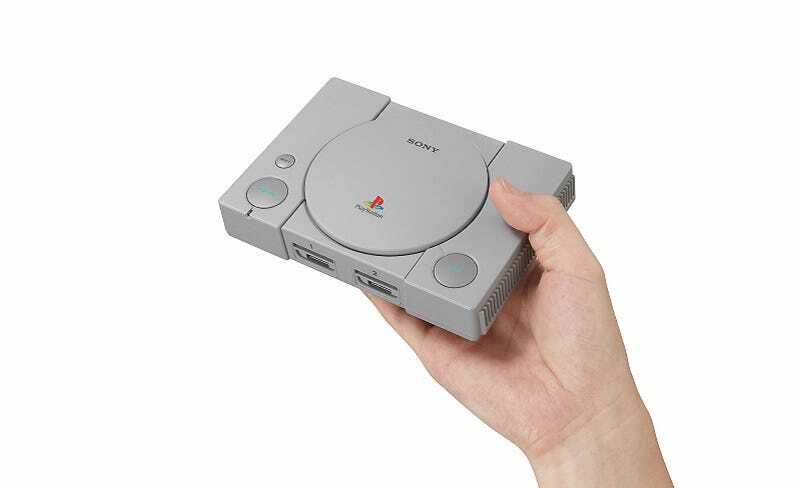 Or maybe, just like with the maligned PlayStation Vita, it’s a string of poor decisions on Sony’s part that has led to the PlayStation Classic’s apparent failure. Before this price cut, the PlayStation Classic retailed for $100. In comparison, the SNES Classic went for $80 while the NES Classic cost $60. Sony has a long history of price gouging—the Vita’s pricey proprietary memory cards helped ensure that the system would never take off—and this is no exception. The list of PlayStation Classic games is baffling. While there’d be no way to pick 20 games from the PS1's massive library that satisfied everybody, this particular list seemed to satisfy nobody. It’s full of strange choices and missing some games that should have been musts, like Tomb Raider and Crash Bandicoot. Speaking of which, why is the PlayStation Classic limited to 20 games? Perhaps Sony felt like it had to copy the SNES Classic’s strategy, but almost all of the games in the SNES Classic’s library were must-plays. It’s hard to say the same about Mr. Driller. For $100, you get a strange mix of 20 games with no way to change them or add new ones. It’s hard to imagine many people seeing that as a good deal. The PlayStation Classic is full of emulation issues. After launch, people quickly realized that the system was running the European PAL versions of some games, leading to lower frame rates and glitches. Yet another black mark on what was already a spartan console. The system only supports original PS1 controllers—no enhanced DualShock versions—which means no joysticks, which means far less enjoyable gaming. With this many bad decisions, how could the system not fail? The good news is that the PlayStation Classic is very easy to hack, in case you’re tech savvy. And hey, it’s now sixty bucks.